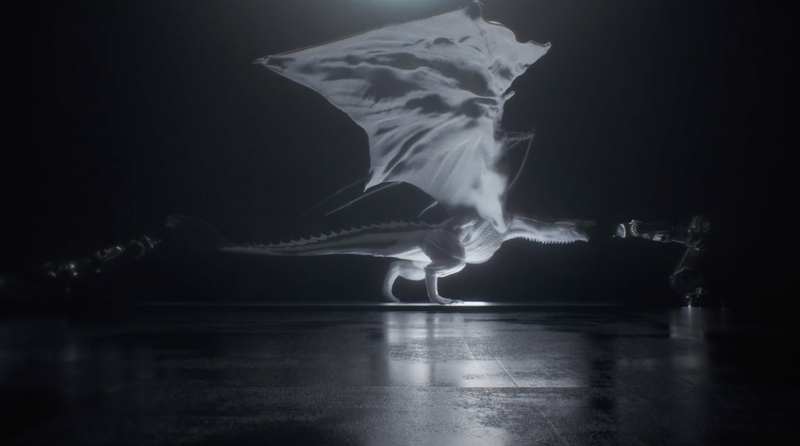 Berlin-based artist Gilles Augustijnen has released a video called “Westeros World” that takes Westworld’s well-known intro sequence and adds a little ice and fire to it. It’s got 3D-printed dragons, a Night King skeleton, and a mother holding her dragon egg baby. Oh and did I mention 3D-printed dragons? Augustijnen said in the description how he was inspired to make it after hearing a mashup from composer Brandon Chapman, which is featured in the video. It’s a really nice-sounding blend of the two now-iconic theme songs, both of which were created by Ramin Djawadi. The artist also noted how it took him eight months to complete the project, having mostly worked on it in his spare time. You can check out some production stills from the video on a website he made just for “Westeros World.” Probably a good idea to capture that domain name, too—in case Game of Thrones pulls a Battlestar Galactica and that fan theory turns out to be completely real. I guess we’ll find out soon enough. Game of Thrones returns with its eighth and final season on April 14.